Jitterbit is dedicated to accelerating innovation for our customers by combining the power of APIs, integration and artificial intelligence. Using the Jitterbit API integration platform companies can rapidly connect SaaS, on-premise and cloud applications and instantly infuse artificial intelligence into any business process. Our intuitive API creation technology enables companies to reuse business-critical applications and data to bring new offerings to market in days, not months. Best of all, our team of industry experts work side by side with you to accelerate innovation beyond anything you previously thought possible. 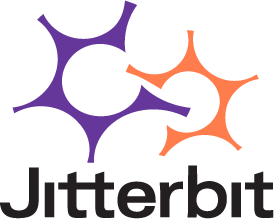 Jitterbit is the only unified cloud integration solution that offers everything from basic data loading to complete real-time Enterprise business process integration all on a single platform. Jitterbit is designed for the line of business user that needs a cost-effective solution to connect their disparate apps in an average of 10 days -- without depending on a team of developers and months of complex coding/deployment.